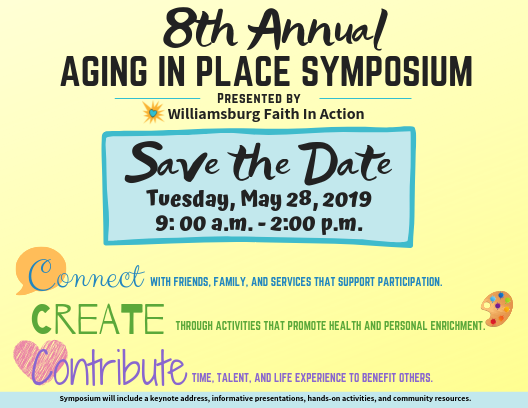 Thank you for your interest in our 8th Annual Aging In Place Symposium. We look forward to having you join us at King of Glory Lutheran Church on May 28, 2019. Early Birds, Register by April 26th for just $5! After that time, prices for seniors (60+) will increase to $10 and the price for all adults under age 60 will be $15. Breakfast & Lunch are included with registration!